MarylandReporter.com will be running stories each week from the Bay Journal, which carries some of the best environmental journalism around. Once a month, Matt Parker and Suzanne Bricker drive along Penny Lane through a Southern Maryland forest until it dead-ends at the Chesapeake Bay. Then, they pull on their waders and hop into a skiff to maneuver out to aquaculture cages, where they grab samples of water and the oysters taking it in. Their results may eventually let oyster growers earn money not only for the bivalves they grow, but also for the water the shellfish clean under the state’s nascent nutrient trading program. At a University of Maryland lab, Parker and Bricker test their samples to see how much nitrogen and phosphorus the oysters remove as they filter the water. If the two can translate that into a dollar value, they might one day be able to generate “credits” that can be sold to others who are having a tough time meeting their Bay-related nutrient reduction goals. It might even encourage more Marylanders to get into the oyster-growing business. But partnerships like Parker’s and Bricker’s won’t be happening in the Chesapeake, or anywhere else, if the Trump administration’s proposed budget is approved later this year. 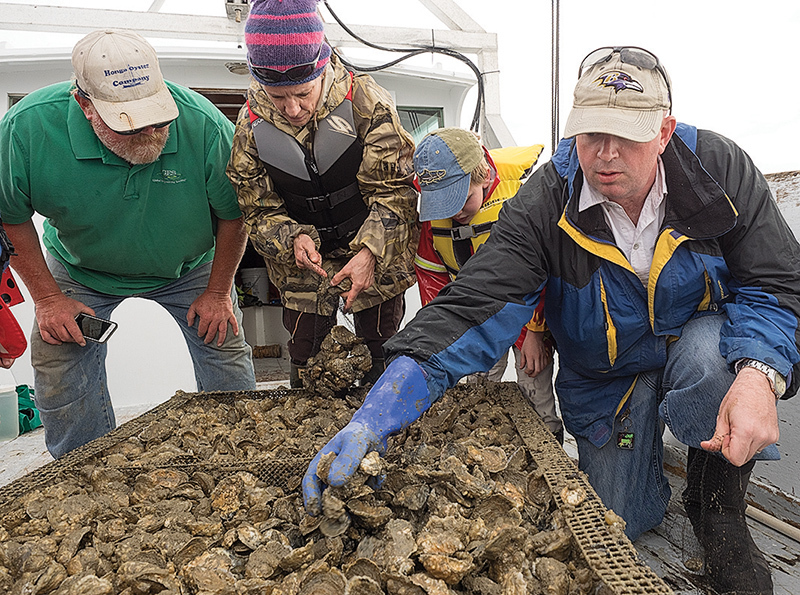 The work is funded by Maryland Sea Grant — one of 33 Sea Grant programs around the nation that help translate science into sustainable coastal economies. Parker works for Sea Grant, promoting aquaculture and helping future oyster farmers write and implement their business plans. In a draft budget released in March, the Trump administration proposed eliminating the entire $73 million Sea Grant program, which operates at universities in all coastal states, the Great Lakes and Guam. Founded in 1966 as a means to connect healthy ecosystems with thriving economies, Sea Grant functions much like the agricultural extension offices associated with Land Grant universities. Its funds have helped enhance working waterfronts, study stormwater runoff, bolster shellfish aquaculture, mitigate sea level rise, restore fish populations and address marine hazards. The idea is to get unbiased science in the hands of the people who can use the information to improve their lives and businesses. NOAA funds Sea Grant, but states also chip in. The federal government gives Maryland Sea Grant about $1.5 million a year; the state matches half of that, and researchers like Parker find their own grant money to supplement it. In addition to oyster work, Maryland Sea Grant has five researchers focusing on helping towns and cities reduce pollution from stormwater to meet Bay cleanup requirements, said director Fredrika Moser. It also supports a summer research program for 17 undergraduate students, and its federal funding supports all or part of 42 jobs in the state. When Maryland began developing a nutrient trading program in 2010, oyster farmers pushed to get oysters included as part of the trades. Sea Grant stepped in to be what Moser calls an “honest broker” looking at science in a contentious arena, as some advocacy groups have questioned the value of trading — especially when it involves hard-to-quantify sources like oyster filtering — while others have embraced it. Other states, like Michigan, focus Sea Grant resources on revitalizing harbor towns. California Sea Grant researchers have helped restore populations of the rare abalone. In Louisiana, Sea Grant research helped regulators determine when to start and end shrimp seasons. This isn’t the first time Sea Grant has been targeted. In 1981, the Reagan Administration proposed defunding Sea Grant. But representatives from Sea Grant states lobbied to keep it. Supporters are hoping that, 36 years later, their state successes will still have sway. But supporters say that’s just the point. In April, a bipartisan coalition of 24 senators introduced a resolution expressing support for the Sea Grant program. The resolution said the national program had an economic impact of $575 million in 2015, and created or sustained more than 20,000 jobs and 2,900 businesses. The proposed Sea Grant elimination is among many drastic cuts in environmental programs proposed by the Trump administration. It also called for eliminating the U.S. Environmental Protection Agency’s Chesapeake Bay Program office, which last year received $73 million to fund state cleanup efforts and coordinate restoration efforts for the Bay’s 64,000-square-mile watershed. Congress agreed this week to level funding for the Bay Program under a continuing resolution that keeps the federal government operating through September. What happens after that remains uncertain. Overall, the administration has called for cutting the EPA budget by 31 percent next year, while also cutting NOAA’s $5.6 billion budget by 17 percent, worrying scientists and a public who rely on its climate and weather-prediction data. The U.S. Department of Agriculture would be hit with a 21 percent reduction that could harm programs that focus on clean water in rural areas. Donald F. Boesch, president of the University of Maryland Center for Environmental Science, described Sea Grant as a “multifaceted and heavily leveraged” program designed to bring back more than two dollars for every one invested. One example is the nutrient work being done at the UMCES Horn Point Laboratory. There, Parker is working with colleagues to determine what type of oyster farming gear — cages, floats, or spat-on-shell on the bottom — works best to help oysters reduce pollution. The findings could alter investments in aquaculture, and perhaps increase business for local manufacturers of cages and floats. Parker’s work is an example. When Maryland made aquaculture legal in every county in 2009, the state was not filled with technicians who knew how to spawn oysters, where to plant them or how to help them live in the Chesapeake’s ever-changing conditions. Oysters need a mix of fresh and salty water, but too much saltwater will make them susceptible to diseases, and too much freshwater will kill them. Sediment will smother them, and storms may carry their cages away to parts unknown. Parker had studied fish and wildlife science at North Carolina State University and earned master’s degrees in business administration and aquaculture at Auburn University. 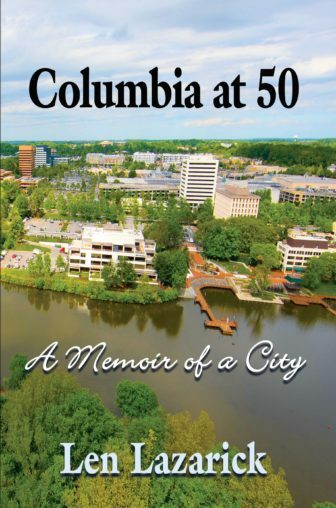 He also worked as an aquaculture business specialist for the state of North Carolina for nearly a decade before coming to the University of Maryland for his doctorate. His arrival, in 2011, coincided with the emerging interest in shellfish aquaculture in Maryland, where it is now a $5 million industry with 6,000 acres under lease. The state developed a loan program for oyster farmers, but to get the loans, farmers needed a business plan. Parker helped farmers figure out how many acres they needed to lease and how many oysters they needed to grow to make back their initial investment. The industry includes oyster farmers like J. D. Blackwell, whose 38° North farm employs several people to make cages and run boats in an area where jobs are scarce. His Penny Lane lease site is one of six areas that Parker and Bricker are testing for the trading program. Maryland’s office also produces Chesapeake Quarterly, a publication that has highlighted everything from faith-based restoration efforts to Bay photographers to buried streams in Baltimore’s urban watersheds. In Virginia, Sea Grant writes a yearly report chronicling the progress of shellfish aquaculture in the state. In 2015, Virginia shellfish farmers sold $32.3 million in clams and $16 million in oysters, leading the East Coast in the production of both. That success is at least in part due to Sea Grant, say several people familiar with the state’s aquaculture initiatives. In the late 1990s, the Virginia Institute of Marine Science hired Stan Allen, a Rutgers oyster geneticist who had developed the technology to rear sterile oysters when he was a young graduate student in Maine and commercialized the technology while in Washington State. At the time, Virginia was losing hope that its native Eastern oyster, Crassostrea virginica, could withstand the diseases that had ravaged it for decades. The commonwealth was considering the introduction of a new oyster, Crassostrea ariakensis, which was native to China. Allen was to create sterile native oysters as a control group to compete against the Asian ones in a large two-state study that the U.S. Army Corps of Engineers was coordinating. Ryan Carnegie, one of Allen’s graduate students, wondered if the industry was writing off the native oyster too quickly. He theorized that if the two parasites, MSX and Dermo, didn’t kill the oysters immediately, they could develop a resistance, thrive — and even reproduce. Virginia Sea Grant provided Carnegie with about $150,000 — enough to sample several sites. What he found, he said, was that oysters were developing resistance. Carnegie brought some of those oysters to Allen, who used them to breed disease-resistant oysters. That began to bring back hope for the native oyster, which could outwit diseases in laboratory conditions. Meanwhile, the Asian oyster suffered from both thin shells and a susceptibility to a worm called polydora. Eventually, natives became the bedrock for the ascendant Chesapeake aquaculture industry, in part because of Carnegie and Allen. Allen called Sea Grant funding “seminal to my entire career,” noting that the funding came at critical periods in marine technology development, and that he could not get that funding elsewhere. That funding, Carnegie said, ultimately helped create thousands of coastal jobs, improved the water quality and developed an aquaculture pathway for other states. It is getting embarrassing. As Maryland’s General Assembly drew to a close last month, the state’s Department of Natural Resources was once again bowing to pressure from watermen whom it is charged by law with regulating. It was the third time in less than a year.